Read more about He Will Lead You! You can call the church office for details. 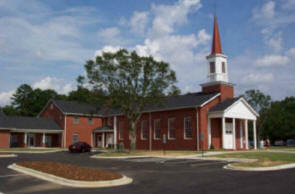 Cash or personal check made out to "Jerusalem Baptist Church" will be accepted. SUNDAY, APRIL 7TH, IS THE LAST DAY TO PURCHASE A TICKET FOR THIS EVENT! Read more about He Can Be Trusted! Sunday, March 10th, is the last day to purchase tickets!